In today's blog post, we will be discussing delegates in C#. Simply put, a delegate is a type safe function pointer. It defines the signature of the method that can be used. The delegate can point to any method as long as the signature of the method is the same. The signature here includes the parameter types and return types. So here the program prints all the employees who has more than 5 years of experience in the company. So this looks fine and short. So here I created a delegate type called PromotableEmployee. This type can have any method assigned to it as long as it conforms to the signature. We have this method called IsEmployeeFiveYearsOld() which conforms to the signature. When we created the delegate instance called IsEmployeePromotable which uses IsEmployeeFiveYearsOld() method. And then we use the delegate instance in our program. When we create the delegate instance, we can assign any method to it as long as it conforms to the signature. That's the power of the delegates. So I can create any new PromotionCriteria and add it to the code base. Then we can inject that method on the fly. 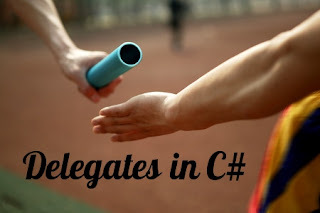 Delegates are powerful feature of C# and have improved a lot over different versions of C#. 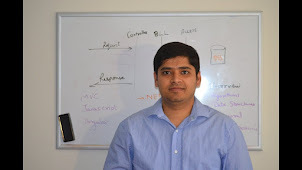 I will be discussing multicast delegates in the next post which will show how delegates can be more useful to us.